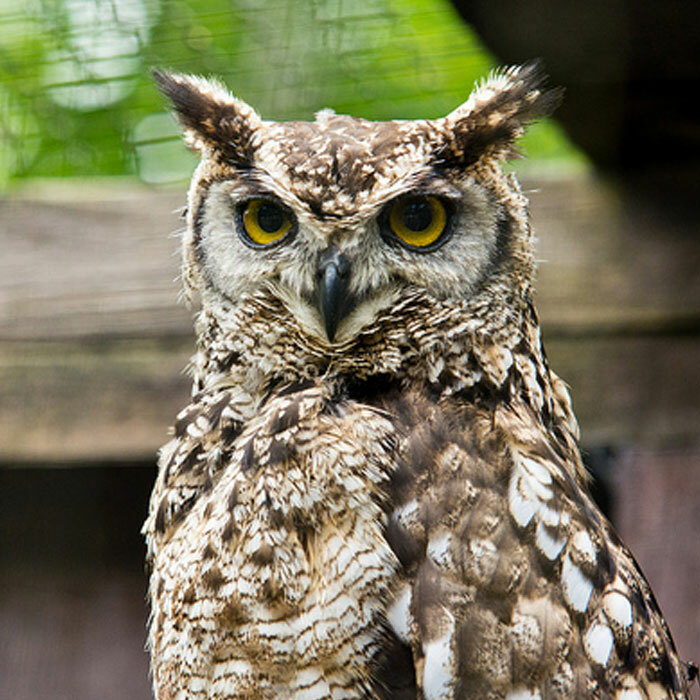 All Owls have a short, curved, downward-facing beak that is hooked at the end. It is designed specifically for gripping and tearing prey. The crushing power of the bill is usually used to kill prey once captured. The upper edge of the lower bill and the lower edge of the upper bill taper to a sharp edge, and overlap in a scissor-like fashion, enabling it to cut through the tissue of the prey. 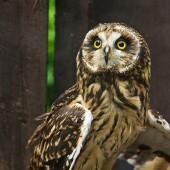 The bill is curved downwards in order to keep the Owl’s field of vision clear. The nostrils are positioned towards the base of the beak, in a region called the cere. Most Owls have a very poor sense of smell. The exposed tips of the bill have a hard, horny surface for protection. The lower bill is hinged and does most of the work, although the back of the upper bill (where it joins the skull) has a narrow strip of flexible tissue that acts as a hinge, allowing the beak to swivel slightly upwards. Other birds also possess this, and it is possible that its purpose is some kind of visual communication. Some species of Owls are able to reduce their body temperature in hot weather by “panting” through partially opened bills. Contour feathers cover the body, wing (remiges) and tail (rectrices). Down feathers – these soft and fluffy feathers trap air and create a layer of insulation next to the bird’s body. Semiplumes function to fill in between contour and down feathers. Bristles are small feathers with a stiff shaft and barbs only on the base, or often not at all. Bristles occur most commonly around the base of the bill, around the eyes, and as eyelashes. Filoplumes are hairlike feathers that consist of a very fine shaft with a few short barbs at the end. They are typically covered by other feathers, and may function as pressure and vibration receptors – they sense the location of other feathers so they can be adjusted properly. 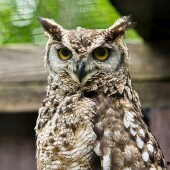 An Owl has very few down feathers, but has downy barbules on the parts of the contour feathers closest to the skin. 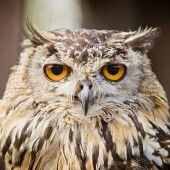 Many of the Owl’s feathers are specially designed – around the face there are the stiff facial disc feathers or ruff, crown feathers, ear-flap feathers and also bristles around the bill. The feet have feathery tendrils that work somewhat like feelers, to help the Owl react to things they touch, such as prey. The most unique adaptation of Owl feathers is the comb-like leading edge of the primary wing feathers. With a normal bird in flight, air rushes over the surface of the wing, creating turbulence, which makes a gushing noise. With an Owl’s wing, the comb-like feather edge breaks down the turbulence into little groups called micro-turbulences. This effectively muffles the sound of the air rushing over the wing surface and allows the Owl to fly silently. 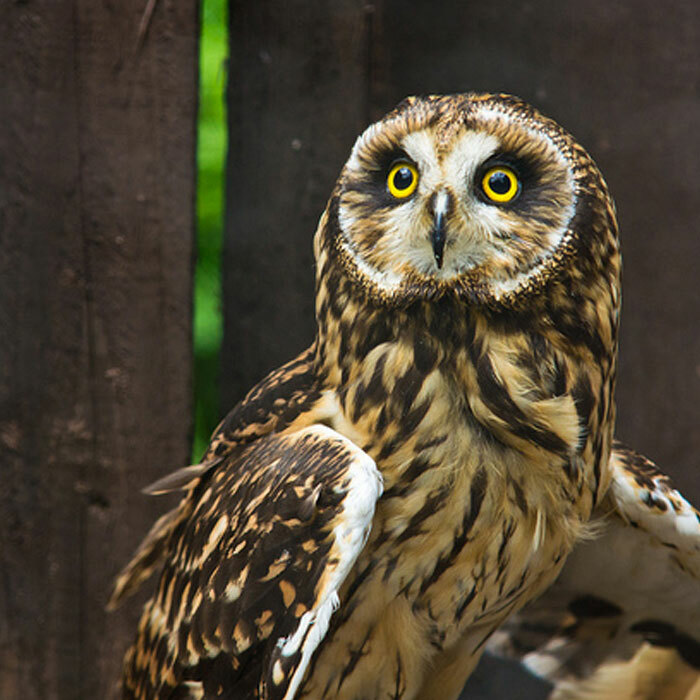 Silent flight gives Owls the ability to capture prey by stealth, and also allows the Owl to use its hearing to locate potential prey. 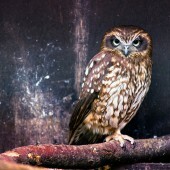 This adaptation is not present on some Owl species that hunt in the daytime. In general, an Owl’s cryptic colours and pattern allow it to blend in with its surroundings, hiding it from potential danger. This is especially important for the nocturnal owls, as they need to remain hidden when roosting in the daytime. 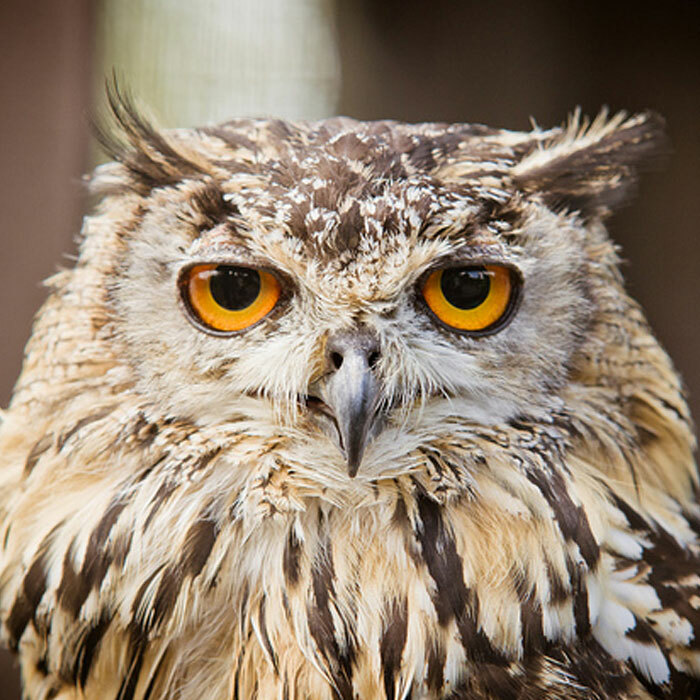 When threatened, an owl will often take up a concealing posture, with closed eyes, raised ear tufts, and compacted feathers. The ear tufts are actually nothing to do with hearing, they are display feathers, used to indicate moods, such as fear, anger and excitement. They also help with camouflage. 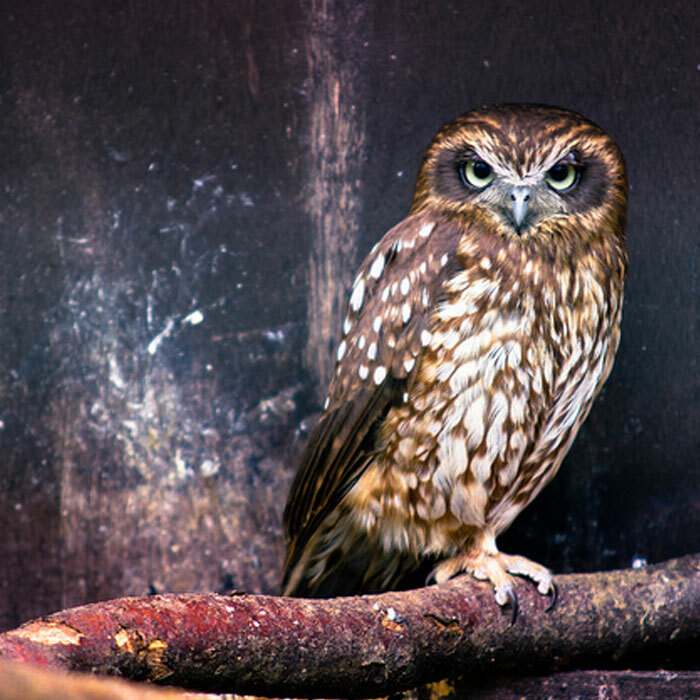 It is also interesting to note that although owls of the same species look alike, each individual owl within a species has slightly different markings. All birds frequently clean and groom their feathers in order to remove dust, dirt and parasites. Owls, like most other birds, use their beak and talons to do this. Flight feather barbs have tiny barbules that lock the barbs together, making the feather into a single continuous surface. These barbules often become unhooked during harsh flying conditions or collisions. A bird will use its beak to realign the unhooked barbs and restore the feather to peak condition. There is small gland called the uropygial, located at the base of the tail, that produces a thin oily liquid. This gland is stimulated by the beak, which is then used to transfer the liquid to the feathers to provide them with a protective coating. When an Owl hatches, it has no flight feathers, but is covered with downy feathers that keep it warm. 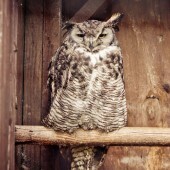 This down is gradually replaced with feathers as the Owl grows. Juvenile plumage is similar to adult’s, but often paler, and sometimes with different markings. An adult bird’s colour is derived from mature feathers. During the normal course of the bird’s life, these feathers suffer from damage caused by abrasion, flexing and even collisions. 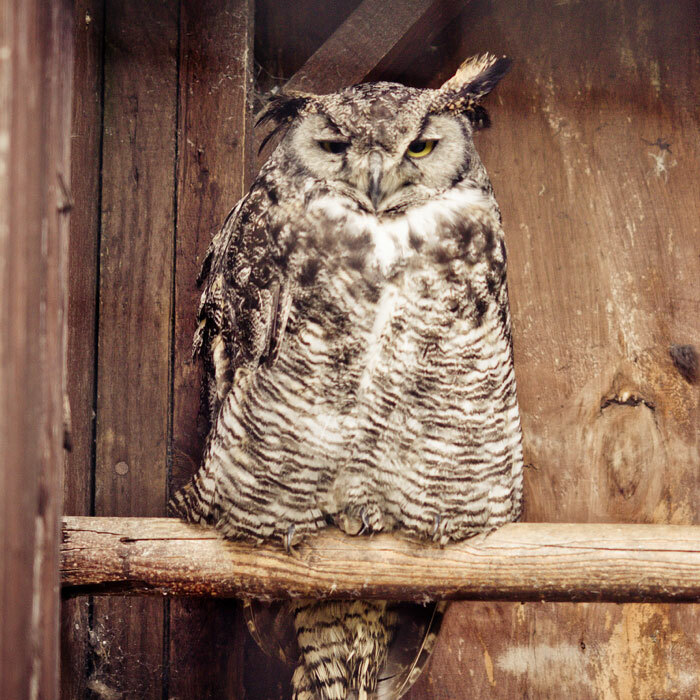 Like other birds, Owls regularly replace their feathers in a process known as molting. This usually happens once a year, beginning after the parent birds have raised a brood that has fledged and can care for themselves. The process takes up to 3 months, during which feathers are shed and re-grown over the entire body in a regular pattern. In order to minimise the impact of the molt on the Owl’s flight and hunting skills, this molting pattern only allows a few of the primary or secondary flight feathers to be shed at time. With the exception of the Barn Owl, molting of wing feathers is from the inside out. Barn Owl wing feathers are replaced from the middle of the wing out (in both directions). Tail feathers also drop out a few at a time, except in some smaller Owl species, who loose all the tail feathers at once. When birds molt, new feathers grow to replace the ones that have fallen out. The new feathers immerge from the skin tightly bound in a thin shaft of tissue. These are called pin feathers. The shaft splits shortly after, allowing the new feather to unfurl and grow to its full size. 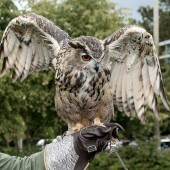 Most owls have relatively large, rounded wings. The wings are broad, with a large surface area relative to the weight of the bird i.e. a low wing loading. This allows them to fly buoyantly and effortlessly, without too much flapping and loss of energy. They can glide easily and fly slowly for long periods of time. Many species use this slow flight to hunt ground-dwelling prey from the air.